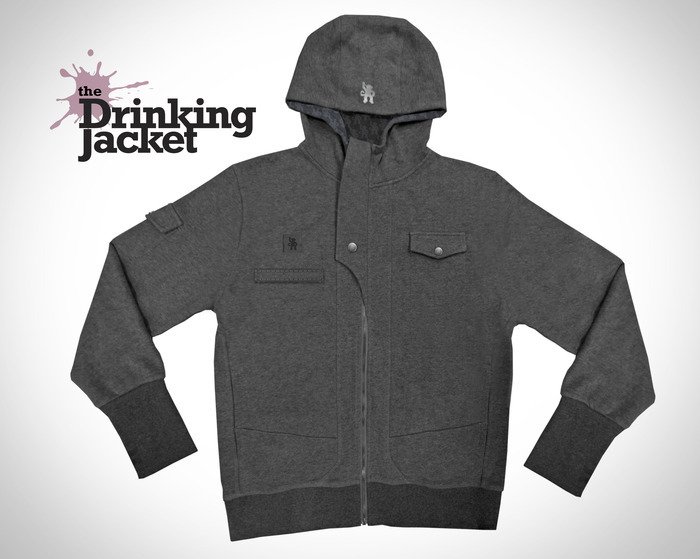 What might appear as a simple hoodie is actually The Drinking Jacket ($89), a Kickstarter project that has taken off quite well for funding. 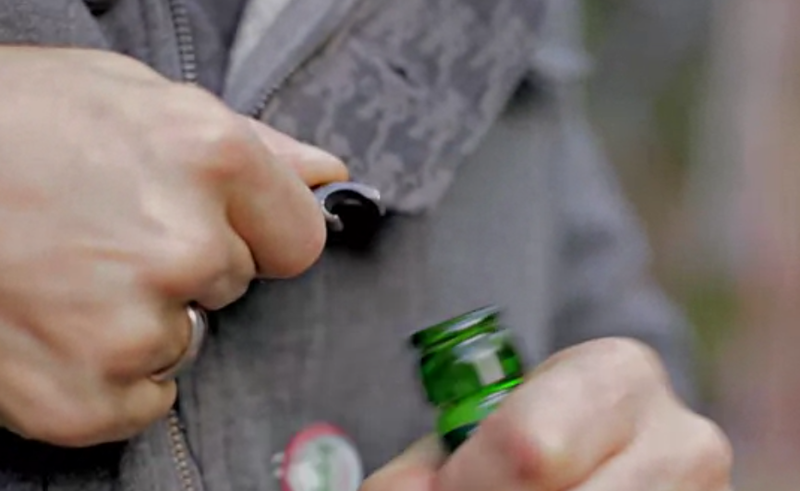 You pretty much get quite a bit of action with your bottle of choice as the Drinking Jacket generously makes you ONE with your beverage with a slew of features like a bottle opener on the front zipper, a Koozie pocket for a snug fit, side pockets, and specially designed gripped sleeves to hold down a iced bottle without getting your fingers frost bit. It even comes with a signature flask for a higher tier of Kickstarter backing. 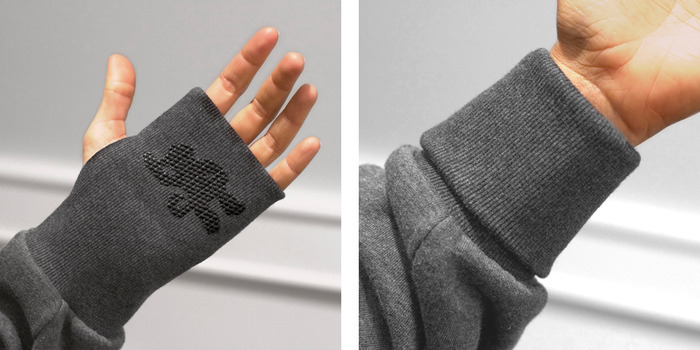 I think it’s a cute little idea, but I am pretty comfortable with my old worn down hoodie. Unnecessary, but cool. I can put all these accessories on a regular jacket too.